• Departure for Rama via Abbottabad, Mansehra , besham and chilas onward over Karakorum Highway. • Lunch will be served at local restaurant . • Dinner at PTDC Rama. • Overnight Stay at Hotel/camps. • Breakfast at Rama PTDC. • After Breakfast drive to Rama lake. • Pack lunch will be served. • Rama lake to Deosai. • Dinner at camping site deosai. • Overnight stay at camps. • Dinner and Overnight Stay at Camps. • Arrival at Skardu enroute visiting Satpara Lake . • After Lunch , Visit Kachura lakes . • Drive Back to skardu. • Dinner and Overnight Stay at Mashabrum Hotel . 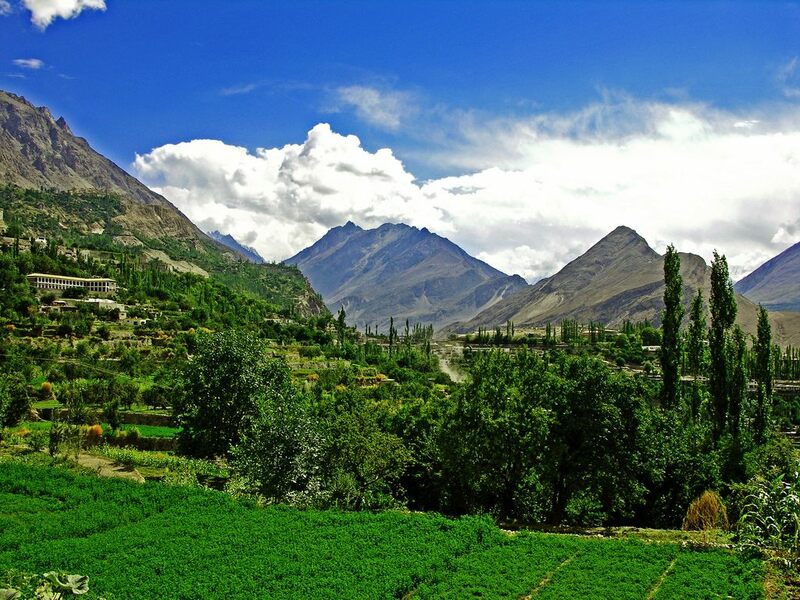 • After breakfast , Sightseeing to Hunza. • Lunch will be served . • After breakfast , Departure for Islamabad . • Arrival at islamabad . • Reporting time at Hana Restaurant I-8 Markaz near Rahat Bakery. • Departure for Chilas from Islamabad. • Breakfast will be served at Local Restaurant in Naran. • Continue drive to Chilas via Babusar Pass. • On the way visit Batakundi, Besal and Lulusar Lake. • Dinner and overnight stay at Shangrilla Chilas. • After Breakfast drive to Nagar Valley. • Dinner and Overnight to Camps. • Breakfast at Camp Site. • After Breakfast start trek to Berichokor (Height of Barichokor is 3,300 Meter). • After breakfast start trek to Chidin Harai (Height of Chidin Harai is 4,400 Meter). • Cold Lunch will be served. • After breakfast start trek to Hamdar. • After drive towards Hunza where changeover of vehicle Jeeps to Coaster. • Departure for Rama via Abbottabad, Mansehra , Naran and chilas onward over Karakorum Highway. • After Breakfast drive of Hunza. • Breakfast will be served at Dir. • Dinner and Overnight Stay at PTDC Bambouret. • Full day enjoy Utchaw Festival. • On the way back at Dir Changeover of vehicles from 4WD Willy Jeeps to Coaster and continue drive to Islamabad. • Arrive Islamabad and farewell dinner (Qissa Khawani Platter) will be served at Hana Restaurant.